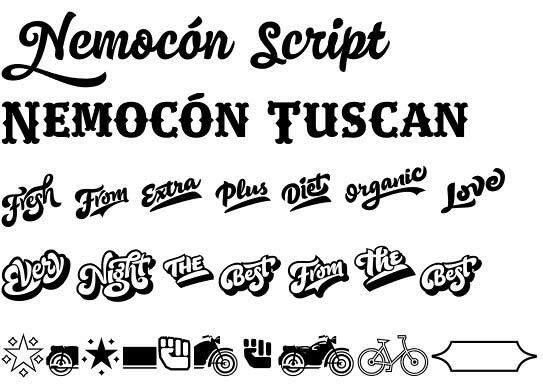 Nemocon font by the Colombian graphic designer Carlos Fabián Camargo Guerrero (Andinistas type foundry) is a comprehensive typeface set for your complete branding designs. The name Nemocon (Nemocón) comes from a picturesque town near Bogotá, Colombia, a famous tourist destination. Nemocon font family comes in six distinctive styles collecting more than 2200 glyphs: Script, Tuscan, Catchwords, Catchwords Shadow, Dingbats, and Containers. Each of them has a specific purpose in the overall picture. Nemocon Script font is a typical flat tip brush script, inspired by the Brush Script by Robert E. Smith, created for the American Type Founders in 1942. 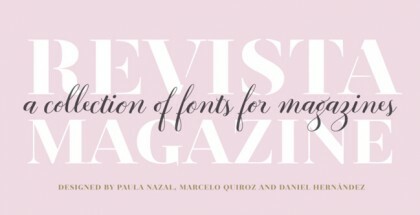 Nemocon Script font adds elegance, chic and fluidity. 1382 glyphs. Nemocon Tuscan is a picturesque fishtail serif letterpress font, designed in the spirit of 19th century Tuscan capitals. 375 spectacular retro glyphs. Nemocon Catchwords & Nemocon Catchwords Shadow present eye-catching brush scripted words with and without shadows, respectively, intended for highlights and supplements. 115 glyphs each font. Nemocon Dingbats & Nemocon Containers are unconventional pictograms and vignettes designated to frame the picture or to emphasize details. 114 glyphs & 150 glyphs, respectively. Nemocon font family offers a bunch of OpenType functions such as stylistic alternates, ligatures, swashes, etc., as well as multilingual support. Carlos Fabián Camargo Guerrero is graphic designer and art director from Bogota, Colombia, founder of the Colombian/ Venezuelan type foundry Andinistas. They are designing high-quality calligraphy fonts. 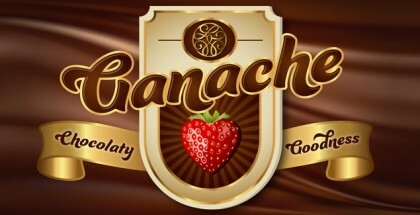 Check their Acústica font, Gluten font, Chef Script font.